Discover everything the West has to offer as you explore the Wind River Country section of the “Circle the Continental Divide” Driving Loop. This Grand Tour of Wyoming encompasses the striking bighorn sheep and handsome cowboys of Dubois, the breathtaking views of the scenic byways through Wind River Canyon and Togwotee Pass, the culture and history of the Wind River Indian Reservation, the unrivaled access to wild backcountry of the Wind River Mountains, the history of the Oregon Trail and the Continental Divide, the gold rush tales of South Pass City and Atlantic City, and, of course, Yellowstone and Grand Teton National Parks. Wyoming’s Wind River Country lies just 26 scenic miles from the southern entrance to Grand Teton and Yellowstone National Parks. This award-winning driving tour was rated a “Best of the Road” trip by the prestigious Rand-McNally Road Map Company. 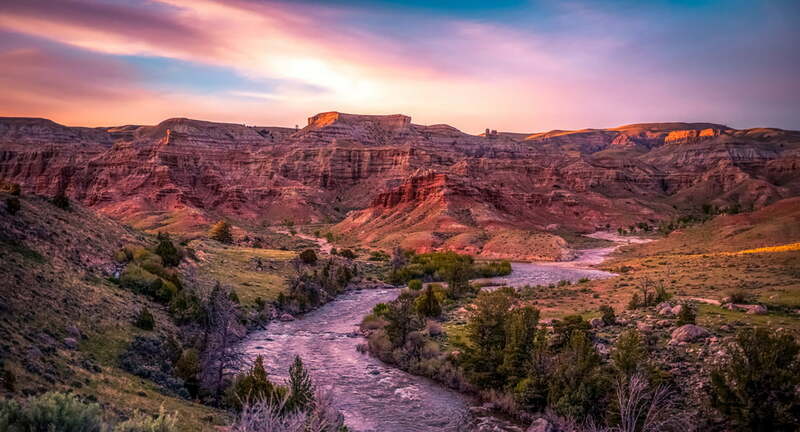 Take a few days or a full week to experience Wind River Country on this spectacular scenic drive through the best of Wyoming. Experience the renowned national parks and explore Jackson Hole, then go beyond Yellowstone on the stunning route through Wyoming’s Wind River Country! Visit Riverton—the Rendezvous City, and tour the Wind River Indian Reservation and take in (and join in) Native American dancing and music. Hike Lander’s Sinks Canyon State Park or try your hand at the world-class rock climbing. Walk the Oregon Trail, and stroll through ghost towns and tour gold miles at South Pass City State Historic Site and Atlantic City. Discover wildlife, ancient Indian rock art, and rodeos in the authentic Western town of Dubois. 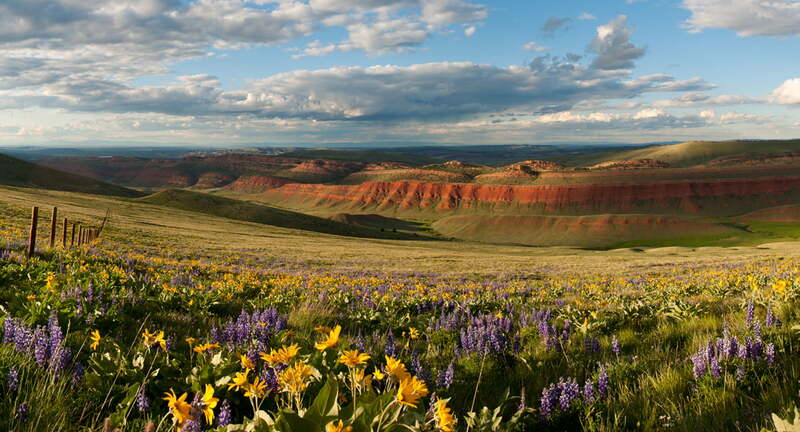 Take your vacation at your pace, and find yourself with room to roam in Wind River Country. Don’t forget your binoculars to see all the wildlife! One of the Top 10 Scenic Drives of the Northern Rockies, the “Circle the Continental Divide” Trip Itinerary can start in Jackson and includes Grand Teton and Yellowstone National Parks, Cody, and Wyoming’s Wind River Country (Wind River Indian Reservation, Riverton, Lander and Dubois). 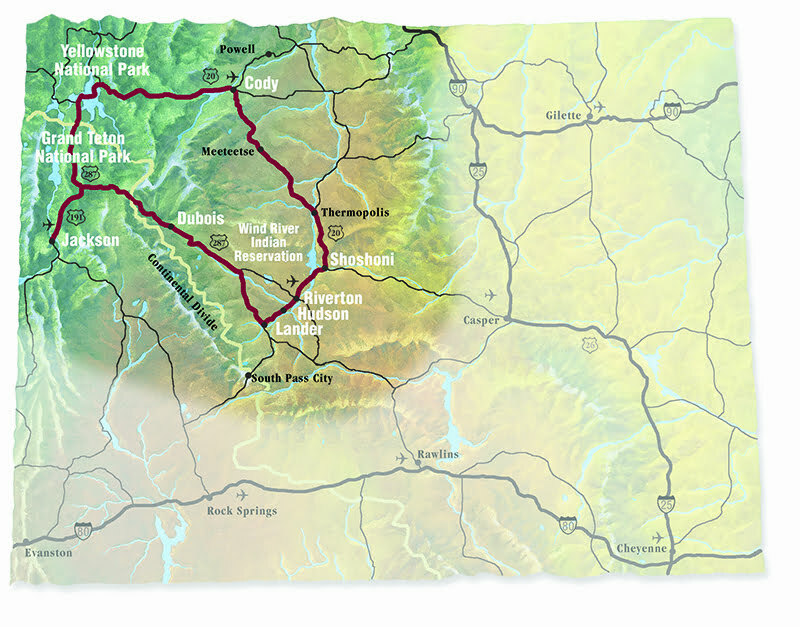 The loop tour can be accessed from many excellent highways in the region, including such as I-90, I-80, U.S. Hwy. 26, U.S. Hwy. 287. You can incorporate this itinerary into your travel plans whether you are coming from Denver, Salt Lake City, Las Vegas, Billings, or elsewhere! Start at Jackson and visit the Greater Yellowstone Visitor Center, then discover downtown Jackson, enjoy any one of the downtown restaurants, and stay overnight in town. Tour the National Museum of Wildlife Art and Grand Teton National Park via the inner park road. Stop by the Craig Thomas Discovery Center and discover Menor’s Ferry and the Chapel of the Transfiguration. Overnight in Grand Teton National Park. Tour Yellowstone National Park and overnight in Yellowstone at Xanterra Lodges. Arrive in Cody through the East Entrance/Exit of Yellowstone National Park, then tour the Old Trail Town and the Museum of Old West. Spend the night in Cody after enjoying dinner at the historic Irma Hotel and evening entertainment at Dan Miller’s Cowboy Music Revue. Tour the Buffalo Bill Center of the West and grab lunch any one of the downtown restaurants, then attend a Cody Nite Rodeo. Depart Cody for Riverton, via Thermopolis and Shoshoni (Hwy. 120/789). Be sure to take your time as you drive through the Wind River Canyon Scenic Byway. Settle in for the night in Riverton. Take a driving tour of the Wind River Indian Reservation either with a map from the Riverton Chamber of Commerce or with a guide from the Wind River Hotel & Casino. While at the casino, take in the Northern Arapaho Experience Room or catch Native American dancing every Tuesday evening during the summer. Then you might as well spend some time at the Wind River Hotel and Casino to see how much you can win! If your timing is right, you can enjoy a powwow on the Wind River Indian Reservation. Depart for Lander (Hwy. 789), then head to Atlantic City to lunch at the Atlantic City Mercantile (call (307) 332-5143 to confirm dates and hours of operation). While you’re there, explore South Pass City State Historic Site and take a memorable guided tour of the Carissa Gold Mine, then pan for gold to take home your own gold flakes. Return to Lander, making a stop at the Red Canyon Overlook to take some incredible photos. Dine at one of the many restaurants in Lander or Hudson. Spend the night in Lander. 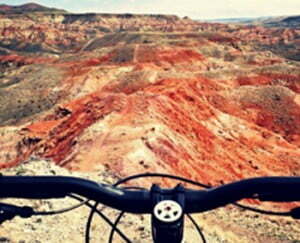 Tour Sinks Canyon State Park—hike the nature trails or hike up to ride the Popo Agie waterfalls. 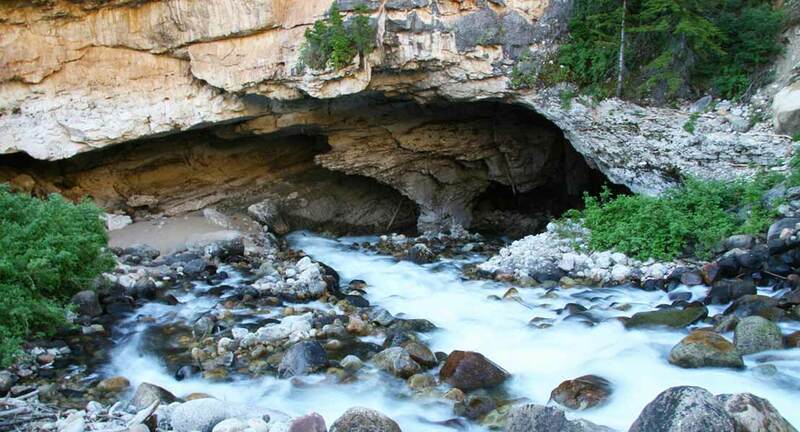 Drive the Loop Road in Shoshone National Forest, or go rock climbing. Take the short drive back into town and walk into the Pioneer Museum and Museum of the American West. Spend the night in Lander again. Wake up and hit the road toward the wildly Western town of Dubois. Stop at the Crowheart Butte interpretive sign to learn the Native American story behind this Wind River Indian Reservation landmark. 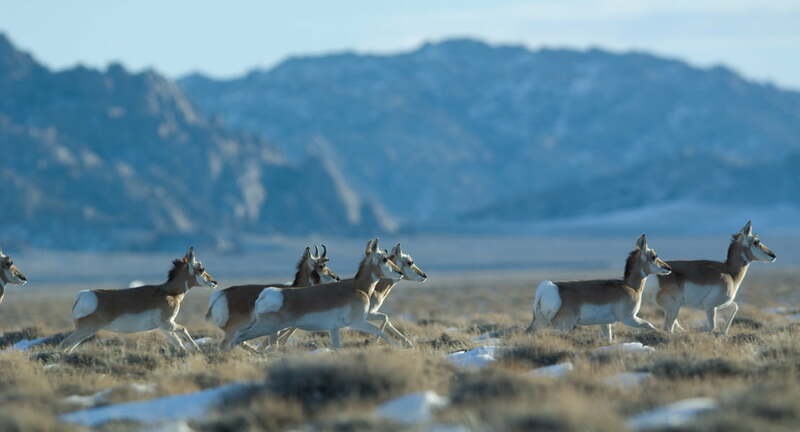 Walk through the Dubois Museum and National Bighorn Sheep Center. Before leaving either museum, ask for advice on the drive down Trail Lakes Road to see the Indian petroglyphs and wildlife viewing area. 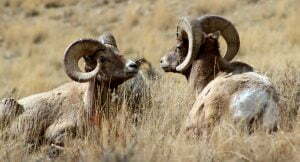 Both museums also provide tours, should you prefer a guided adventure to find bighorn sheep or ancient rock art. Overnight in Dubois, but not before spending your night either square dancing (Tuesdays in the summer) or at a weekly Friday Night Rodeo. Start the day off right with breakfast at one of the classic breakfast places. 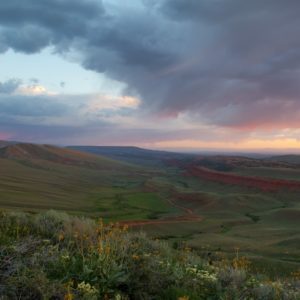 Work out some energy exploring the mountain bike trail, then hit the road on the scenic Togwotee Pass and the Continental Divide. 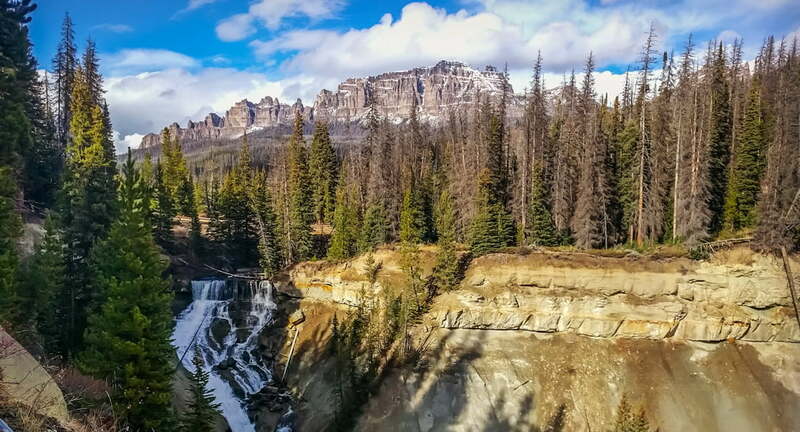 Take a break by hiking to the waterfalls at the Falls Campground on the Shoshone National Forest or driving to Brooks Lake for the mountain views. You’ll find yourself back in Jackson to conclude your journey or to continue the circle, depending on where you hopped on this special driving loop.